In summer 2017, a field study was performed in Citra, FL at the University of Florida Plant Science Research and Education Unit. 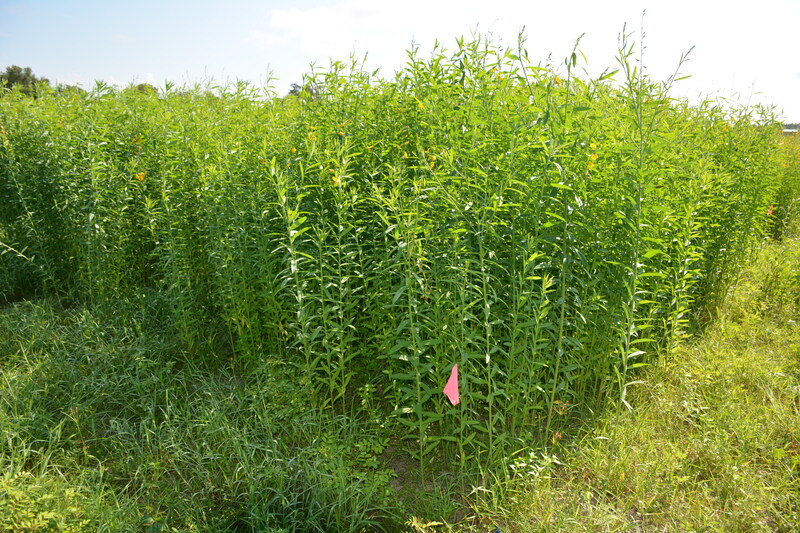 Commercially available Sunn hemp, Iron Clay cowpea, and slenderleaf rattlebox were evaluated against experimental lines of Sunn hemp and cowpea to determine their capability in suppressing weeds and producing equivalent or higher biomass. Sunn hemp – Tropic Sun and Sanni produced the most biomass among sunn hemp cultivars evaluated. Weed suppression ability was about the same among all of the sunn hemp cultivars. Cowpea – US-1138 produced the most biomass and had the greatest weed suppression ability among all of the cowpea cultivars evaluated. The rest of the cowpea cultivars evaluated performed comparably. Slenderleaf rattlebox – Had low biomass accumulation and low weed suppression compared to the other cover crops tested.